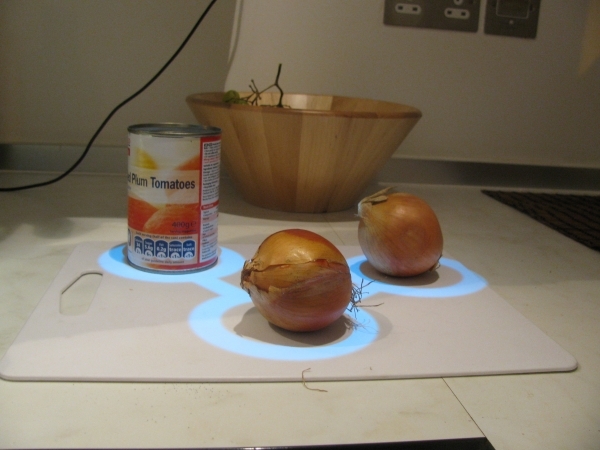 Can emerging technologies enrich the experience of cooking and eating? 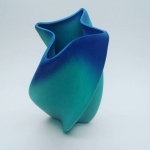 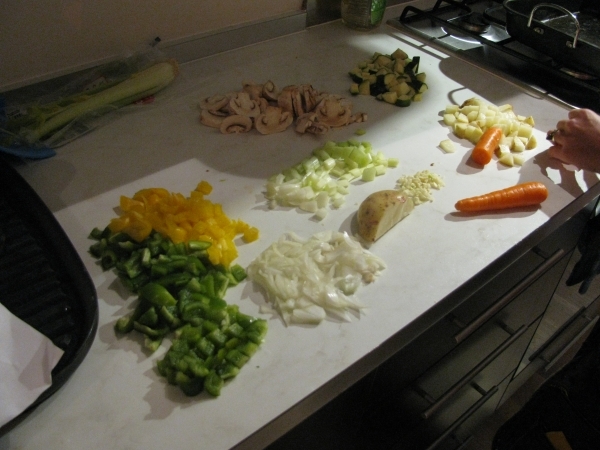 This 2010 project and accompanying report investigated the potential role of new technology in helping users to concentrate more on the areas of their relationship with food from which they derive the most pleasure: the sensual, emotional, creative and social. 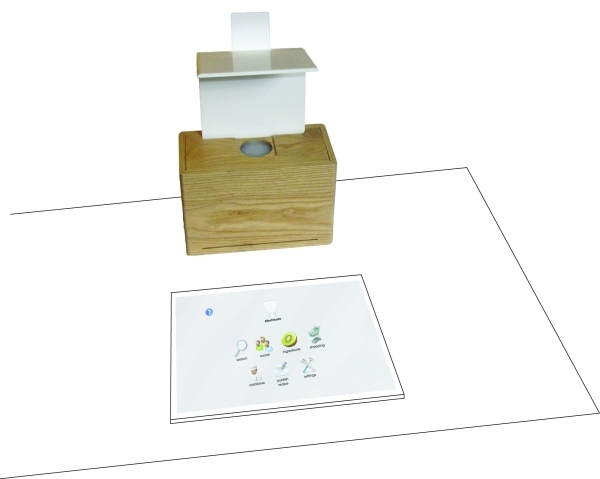 It resulted in a concept design outcome – the Chefmate. 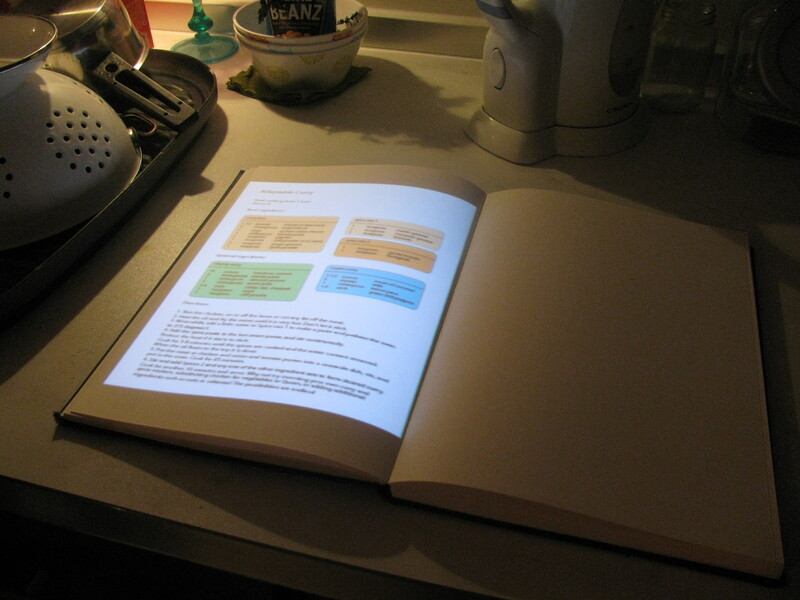 The Chefmate is a tabletop device which assists people to cook new and memorised meals at home by interactively guiding users through recipes. 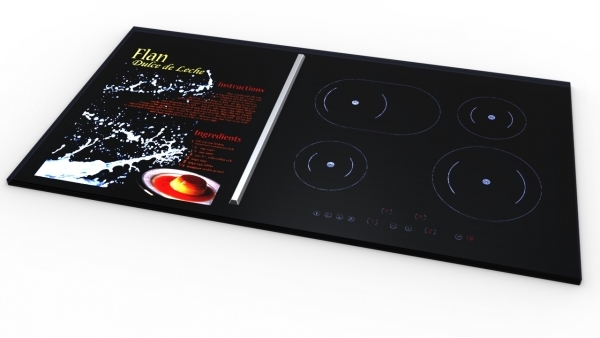 Using a specially designed infra-red laser system, the user can adopt their cook top or chopping board as a touch screen without the worry of it being damaged by food or liquids. 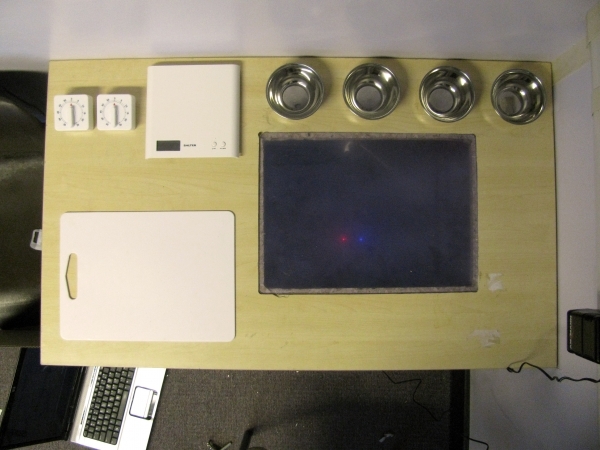 The prototype was made using a small projector, infrared lasers, webcam with IR filter, and computer vision system which mapped the position of the reflections caused by fingers or food, allowing the system to act like a touch screen. 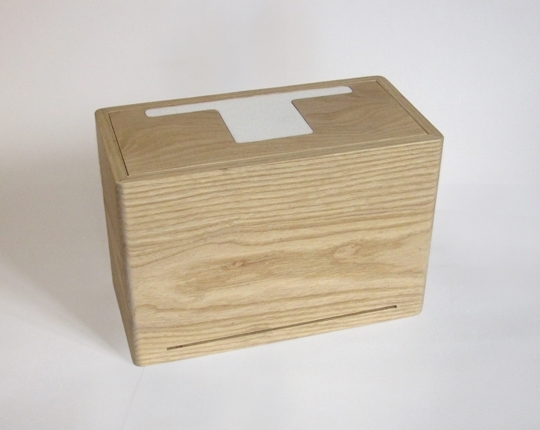 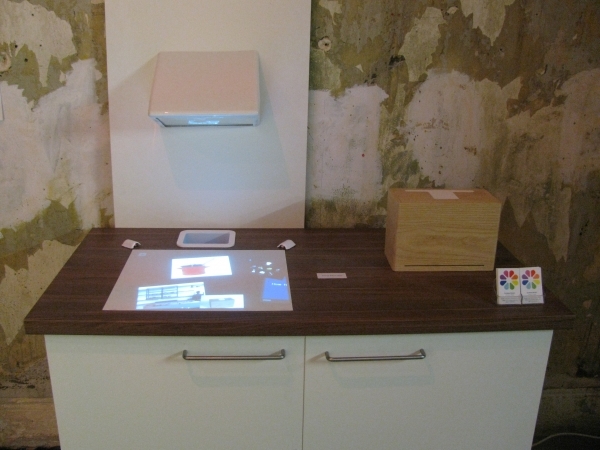 A working prototype with custom software and separate appearance model illustrated the concept at the Making Believe exhibition at Shoreditch Town Hall.